Apple has created a monster. Free-to-play games have taken over the iOS App Store almost entirely, creating a marketplace that is dominated by scammy timers and cheap monetization schemes, one that no amount of quality game design, curation, and promotion have been able to fix. But now (after years of profiting off this system), Apple is here with the alleged cure: Apple Arcade. Can Apple really put that free-to-play genie back in the bottle? 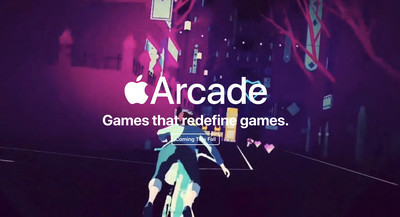 Apple Arcade promises dozens of high-quality, premium games which will solely focus on entertainment or art, not on squeezing money out of players — the sort of games that have struggled to find a place in the modern app store economy. No ads, no lockout timers, no in-app purchases, no always-on internet connections. Pay Apple a monthly fee and it promises access to a hundred titles that won’t be available anywhere else, plus cross-platform play that lets you pick up and play on your Mac, your iPhone, or your Apple TV. And Apple is investing heavily in the service, not only paying up for exclusive titles, but actually helping to fund development. It sounds like an interesting proposal on the surface — a combination of the most appealing features of Xbox Game Pass and Nintendo’s Switch, with its ability to both work on the go and on the big screen. But can Apple really put that free-to-play genie back in the bottle with Arcade? It took almost no time for developers to react: the premium platformer Rolando 2, for example, took advantage of the new rules to offer a free demo of the full game, allowing players to buy more levels a la carte if they enjoyed the trial. But other games, like Ngmoco’s first-person shooter Eliminate, shifted to a different free-to-play model, offering a timer system that would limit player rewards unless they ponied up real cash. In the case of Eliminate, there was no limit to how much players could play the game, but once they ran out of an allotted in-game resource, they couldn’t make additional progress or unlock new items until they waited for a timer to reset or if they paid, they could continue playing immediately. Obviously, one of those models won, to the point where major titles today, like Harry Potter: Hogwarts Mystery, still rely on it to squeeze money out of impatient players who are eager to continue playing. At that point, it was off to the races: by January 2011, analytics firm Flurry had estimated that free-to-play games accounted for 39 percent of gaming revenue on iOS. By June 2011, that number was up to 65 percent, eclipsing paid premium titles. The following year would see the release of freemium juggernauts like Candy Crush Saga (estimated to have grossed over $3.91 billion) and Clash of Clans (estimated at over $6.4 billion), which would kick off a gold rush of free-to-play games built around similar mechanics. Today, free-to-play games dominate the iOS charts, at least where money is concerned: Apple’s top grossing list has just a single paid title, Minecraft — which, as one of the most popular games in the world and with Microsoft’s ownership, isn’t exactly an indie darling anymore — with the rest of the money coming from in-app purchases in free games. App Annie’s estimates dive into things further: of the top 50 games, 49 are free to play (Minecraft is again the only outlier, at 48th on the charts). And Sensor Tower’s lists show only one other paid title in the top 250 grossing games on the App Store — Bloons TD 6, at number 202. Apple’s previous gaming push into augmented reality didn’t do much to break through the free-to-play lock. The top grossing charts are largely the same as they’ve ever been. And it’s not that premium titles are completely failing — due to the fact that the App Store splits out free and paid charts, along with Apple’s curation of the App Store, there’s still a place for those paid titles — but the way the money flows, they’re just not a focus for major developers. Why make a paid version of your game (even if that title would be superior from a sheer gameplay perspective) when you can make a free-to-play one that will bring in far more money? Even Apple isn’t immune: it makes a cut off those IAPs, and it highlights plenty of free-to-play games in the App Store right alongside paid ones. Remember when Apple prompted you to pre-register for Pokémon Go? Some games, like Monument Valley 2, have still been able to achieve chart-topping success in the face of the free-to-play gridlock. 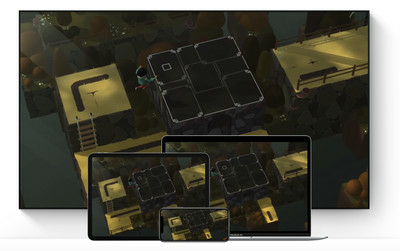 But Monument Valley 2 also had essentially everything in its favor: it was the long-awaited sequel to a popular game, it was announced and spotlit at Apple’s keynote, and it received top billing in the new iOS 11 App Store, which Apple had specifically redesigned to allow for highlighting new games and apps. And despite all that, Ustwo studio head Dan Gray commented to The Verge last year, “I think it has kind of plateaued,” referring to the premium market. Ultimately, these kinds of success stories are exceptions rather than the rule, and there’s a vastly different bar for success in the paid mobile space compared to the free-to-play side. 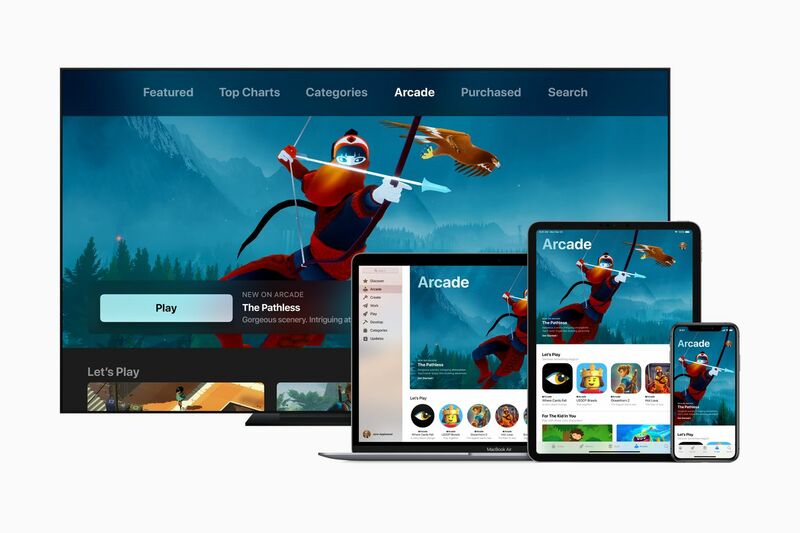 While developers are cautiously optimistic that Apple Arcade could turn the tide toward premium gaming, there are still a lot of unanswered questions about how it’ll work, how much it’ll cost, what Apple’s cut will be, and what revenue splits will look like. There are also concerns that the service could cannibalize paid game sales in the future, or create a higher barrier of entry for less established developers at the expense of elevating established, known brands. None of this is particularly a problem for Apple — it takes a 30 percent cut of all purchases on the App Store, whether they be extra lives in Candy Crush or full game downloads of Alto’s Odyssey. But Arcade represents an idealistic approach for Apple; it’s a company that wants to be known for fostering creativity and art, not raiding its customers’ pockets for quarters to get a building finished in Clash of Clans faster. (A similar thread ran through the overwrought announcement of the Apple TV Plus streaming service, too.) And particularly now, with the growing concern over addictive free-to-play mechanics actually causing real harm, it’s easy to see why Apple would want to move away from those types of games. And maybe Apple Arcade can help with that, providing a new revenue stream for the company that lets it spotlight the best games of its platform, not just the best at serving ads and making money. Whether Arcade can slay the monster that Apple has made, though, will have to wait until we get to see it in action later this year.